The JAY® J2™ Series wheelchair back is designed to provide posterior and lateral pelvic stability along with enhanced trunk support. 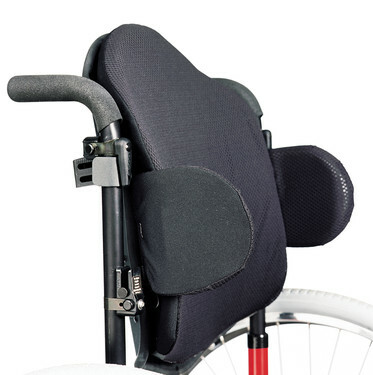 They are lightweight and angle adjustable for easy installation, fitting and removal to fold the wheelchair. The J2 back features a mildly curved shell for posterior pelvic and mild lateral thoracic stability. Its contoured foam insert distributes pressure over a wider area to increase comfort and reduce the risk of skin breakdown. For clients with longer torso lengths, the J2 Tall back's 23" height provides superior support. For maximum lateral pelvic stability, the J2 Deep Contour features 6" of built-in support. 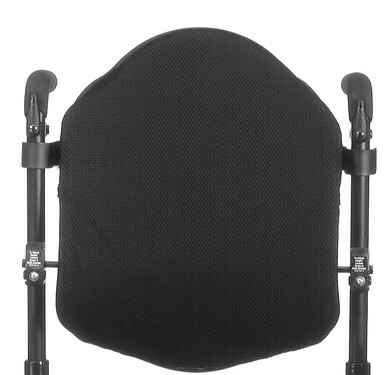 For customizable support, the J2 backs offer optional lateral thoracic pads. Available with either a curved or flat shape and fixed or swing-away hardware, lateral thoracic supports accommodate existing and help prevent the development of asymmetrical postures. 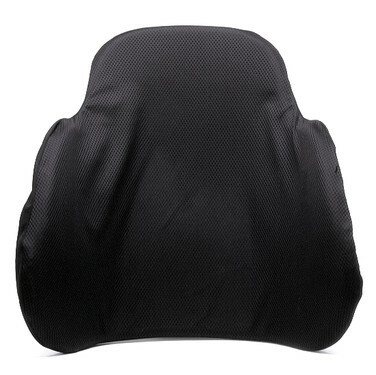 The J2's AirExchange cover promotes airflow and dissipates heat and moisture, keeping the client clean and dry. Width Range Standard: 12" to 20"
Deep Contour: 14" to 20"
Height Standard: 12.5" to 16.5"
Deep Contour: 17" to 20"
Product Weight Standard: 4.7 lbs. Frame Tubing Compatibility 7/8", 1", 1 1/8"
Deep Contour: 6" to 7"